Let's go on a picnic . . . and return inspired to quilt! 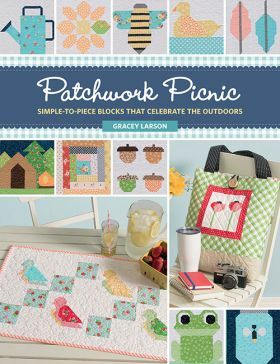 Sew cute critters, fancy flowers, birds and bugs, trees and turtles, and other odes to the out-of-doors with 30 adorable quilt blocks, each in two sizes: 6" and 12" square. The secret to making these charming designs? An easy stitch-and-flip technique that skips foundation piecing and templates--sew only straight seams! Create a fun sampler quilt--featuring all 30 blocks--plus seven companion projects including a table runner, tote, and pouches. Simply choose your favorite blocks and plug them into the patterns. With handy cutting charts and a lettering system for keeping track of where you are as you make each block, sewing will seem like a picnic! Gracey Larson has been creating since she was old enough to hold a crayon. She has always enjoyed living in a world of color, pattern, and creativity. Gracey began quilting in 2009, after years of admiring her great-grandmother's quilts, and quilting has been an ongoing passion for her ever since. As a Christian and self-described "wildflower," Gracey loves God, her family, her church family, adventure, traveling and singing with her family, and stitching those memories and moments into her quilts. Her patterns are unique and whimsical, and they appeal to a growing number of quilters who seek to include pictures in their own projects without the need for paper piecing or templates. 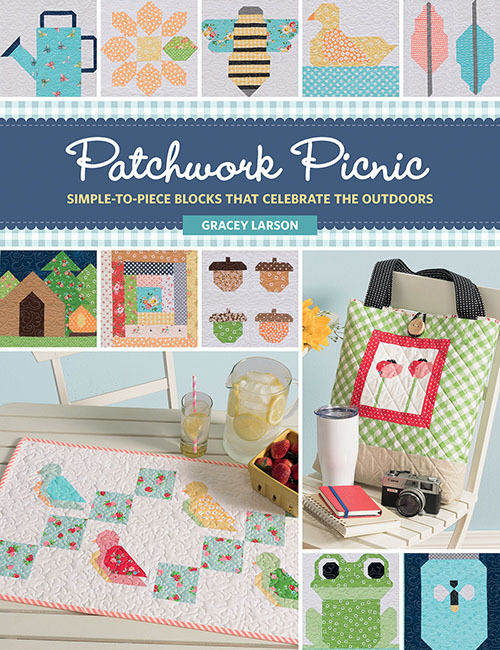 Gracey's work has also appeared in Love Patchwork & Quilting magazine.